Branch 2 Ltd asked us to supply and fit 290 sqm of Suspended Ceilings in Gloucester across 10 different areas for their new Roots Coffee shop. The work formed part of the restoration works to a former 125-year-old co-operative building in Alvin St, Kingsholm, Gloucester. We were happy to help and provided a plan allowing for a quick installation which retained the character of the building. Quick install to fit around other trades. 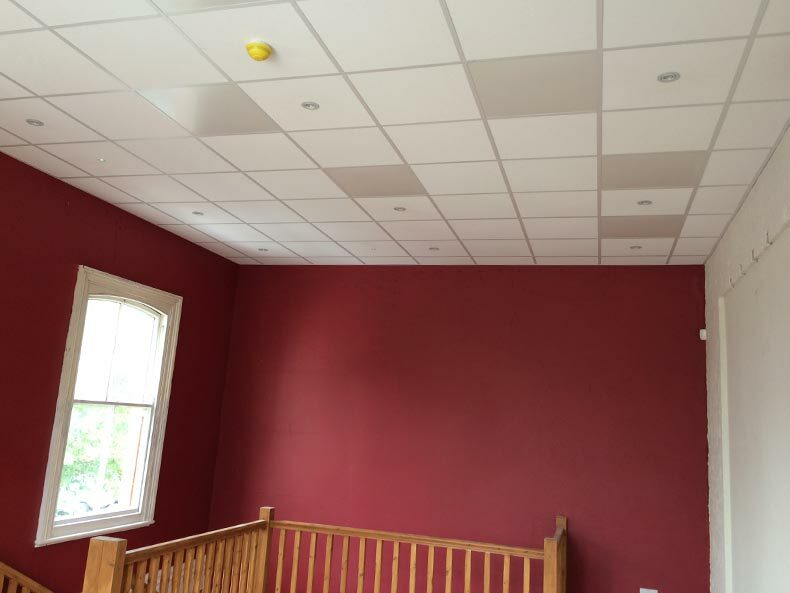 Cost-effective solution for good Ceiling finish. 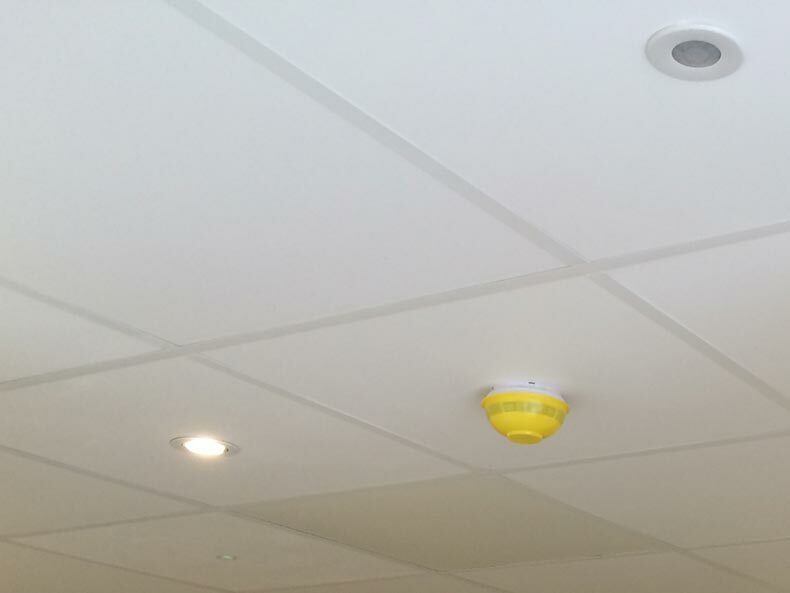 Avent supplied and fitted 290 sqm of Suspended Ceiling. Attended site and fitted 600mm x 600mm x 24mm exposed grid system to all ground and first floor areas. Liaised with and worked around other contractors. Avent formed the 290 sqm into 10 separate areas varying in shape and size. Sloping bulkheads above windows where required allowing light into the coffee outlet. Once the electricians had fitted their fittings into the grids we returned and spent 3 days cutting and fitting tiles throughout. Fitted approx. 25 sqm of insulation overlay within the ceiling/roof void within the first floor area. Following Health and Safety regulations we installed vinyl faced satin spar tiles into the food prep and dining areas. 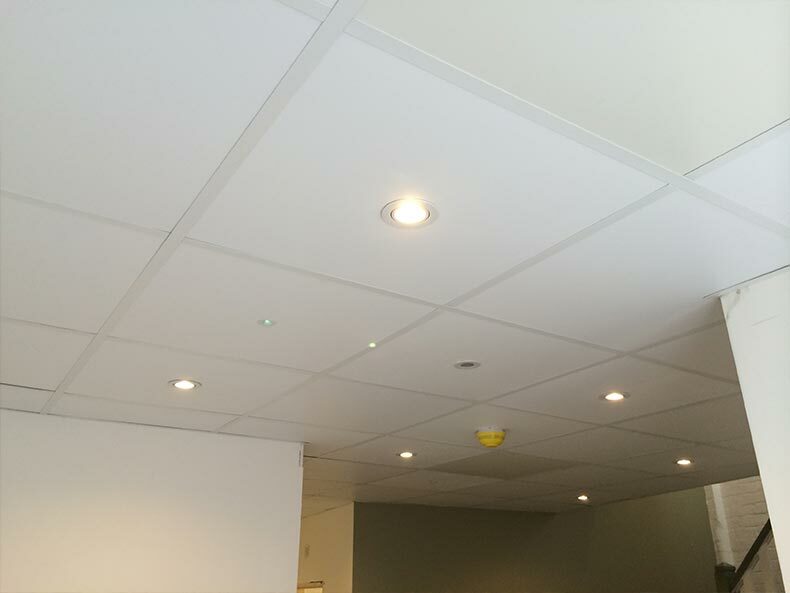 Finally we installed a white Treetex mineral fibre tile in all other areas. 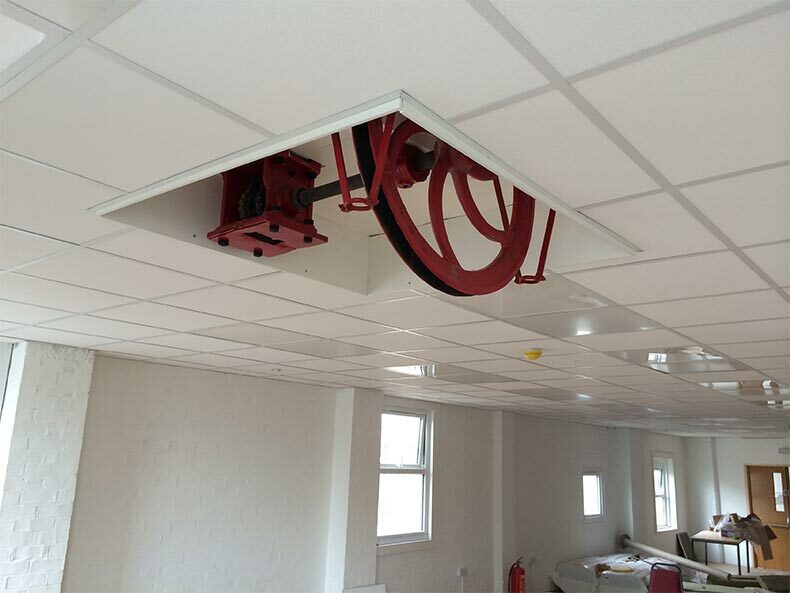 We installed the Suspended Ceilings in Gloucester within 7 working days and Branch 2 Ltd commended us for a great installation. Both Roots Coffee shop and the community space was now really starting to take shape for its launch. Roots Coffee is a coffee shop and community space for Kingsholm, Gloucester administered by Branch 2 Ltd. They have provided the area with an ethical sourced Roots Coffee shop and a space that the whole community can benefit from, whether it be for meetings, parties or exercise classes.